I just bought a Conoco Ethyl 30 inch like the one pictured. I am traveling and shipped the sign to myself without taking the actual sign photo. Does anyone know the date and info on these black rimed signs verses the ones that have the dark green rims? I found this picture with your sign in the back ground , sorry about the bad picture , maybe one of thee guys can flip it around . Wow that is good news! Thanks Nelson and Randy. I was barely able to get my wife to go along with this...if I told her I might have bout a reproduction y’all could send flowers to my funeral. I know it's hard to see in the far back ground . Thanks Randy . Last edited by advertologist; Tue Jan 22 2019 08:20 AM. Randy...I saw these on EBay. Mine has all the characteristics of true age. I was wondering if these repops are fashioned after a true legitimate Conoco Sign. That is the bit of info I cannot find.....or am I in a heavy state of denial?! Last edited by Stephenwarren30; Tue Jan 22 2019 01:19 PM. Please see all pics of sign in question. 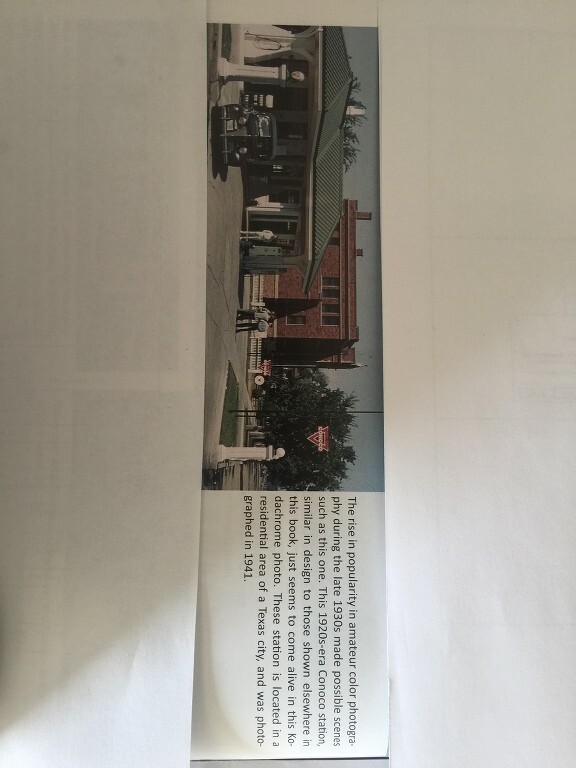 So my good friend at Old Gas...is this an original or a fake? Do I stand tall or fall on my sword? Help Me!!! 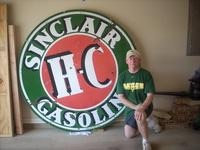 One last question...does anyone know if there ever was an original Conoco Sign that this reproduction was made to replicate?